Hi! My name is Joe, and I want to share with you about my Christian walk, and my decision to become baptized. I was born into a Christian family, and was taught about faith and the Gospel by two awesome, Godly parents. I went to Sunday School, sang all the songs, and listened to all the teachings. After that, I went to Youth Group (E2), with big kids, big groups, and big snacks (the best part!). But in E2, my relationship with God really grew. I started to learn that life was not perfect, and that I will face problems that I would never have thought I would have faced. I also faced reality, too. My responsibilities started to grow and I had more things to do. Life wasn’t as care-free as before. My faith was starting to become challenged. It was here that I really had to trust in God. For example, I struggled with death. On the news, I heard about gruesome tragedies each day, and read about all the terrorist attacks around the world. I wondered if those things would happen to me. I became doubtful, and became scared every day that I would get into a car accident or get shot. I didn’t trust God with my life, and I became fearful. But, God, being the awesome God that He is, spoke to me that He is for me, and never against me. He told me that He wouldn’t do anything that He knew wouldn’t help me. This really encouraged me, and helped me overcome my fear. Through E2, I’ve learned that He will always be with me, and He will always help me. I’ve also learned to call on Him for help and realized that I could talk to Him like a friend, and tell Him my problems, my day, and my requests. I learned that God is not just some gargantuan holy man who I will see on judgement day, but that He is my friend and companion. He will be with me, through every stage of my life, and will lead me every step I will go. Last year, when I heard about the invitation to be baptized I was like, “I want to do this.” I wanted to get baptized. I wanted to proclaim my faith, and thought it was time. But God had other plans. Turns out, our family planned a trip to Sedona, Arizona, that week, and I wouldn’t be able to make it. I was disappointed, but I knew that I would get another chance. The year went by in a flash, as usual–tests, quizzes, finals, summer, fun, play, food, you get the picture. But then, DUN DUN DUN!!!!!!!!!!!!! !…school came. This year was totally different than last year. TOTALLY. We were twice as busy as last year, and I thought we were busy before. I was playing flag football, my sister was taking classes at De Anza, my Mom and Dad were scurrying around to drive us here and there, we were all so pooped. Every day I counted the days to the weekend, because I was so tired. When the announcement for baptisms came up again this year in the Youth News, I wasn’t as excited as before. I wanted to get baptized, but this time, I didn’t feel like it was time. I was tired, and my relationship with God wasn’t as strong. I didn’t spend time with Him as much, and I was feeling worn out. I asked my Mom about my predicament, and, in her wise motherly tone, she said, “It’s not about what you feel. Feelings are temporary. They can come and go.” She told me to ask God about it, and after praying about it, I knew it was time. So, here I am, ready to proclaim my faith. I am ready to take the next step in my walk with Christ. After my baptism, I want my relationship with Jesus to be intimate, and to be strong. I don’t want to be fearful anymore of what is to come. I want to have full trust in Jesus, and full trust that He is in control of life. 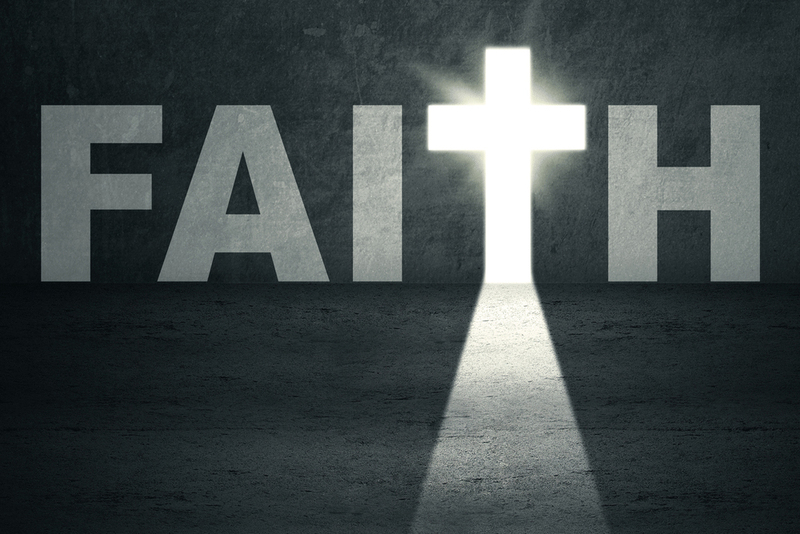 I want my faith to be strong, and not to fail whenever obstacles come in my way. I want to be courageous. I know that baptism doesn’t get any favor from God, but I know, with my family and friends, that He will be joyful when my head gets dunked into that freezing or hopefully not, warm water.